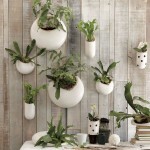 The best creative home decor are unexpected and surprisingly fitting; take for instance a wine barrel. Its primary purpose is to brew wine, beer or whiskey but when emptied, with a little skill and creativity, it can turn into a piece of authentic furniture. There are so many ways you can use a barrel to decorate your living or working space. You can have it in the patio holding a vase of flowers, at the garden as a planter holding the best of succulent plants or in your living room, as the perfect place for your coffee or a glass of wine. The attractively curved oak staves with the trademark round metal rings used to make an oak barrel will stand out no matter where you place it. If you don’t know any distillery where you can source them, Hungarian Workshop furniture has everything you need. Ranging from whole barrels and seats to side tables, and so much more, the creativity of working with barrels never ends. Wine barrels make perfect high tables with chairs around them. That’s the most basic and least manipulative way of using the barrel. You can use the tables for your indoor or outdoor bar. When you cut the barrel lengthwise, it makes a stunning centerpiece as a coffee table for your living room. You can have the open top covered with wood or glass and use the inside part as a storage area. When it’s cut across, it produces shorter side tables that are perfect for the bedroom. Barrels are also ideal for holding a kitchen worktop and a dining table to get a rustic look. You only need to look closer to discover that it’s a wine barrel. The curvy wood can make all sorts of chairs depending on the cutting creativity. 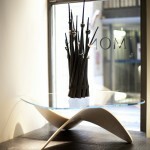 The curvy staves can make almost anything from rocking chairs to high bar stools to dining chairs; the list is endless. Show your pet some affection with an oak pet bed. There are so many designs to choose from. You can pick a design where the cat or dog sleeps inside a cushioned barrel or if you prefer, pick an open barrel. Your dog or cat won’t mind it either way. There are unlimited ways to use barrels in an event. They can be the tables for an evening party where people can chat around them. They can also hold flowers at a wedding. If you opt to use them, they’ll make your event’s atmosphere laid back and ultra-modern. There’s nothing dull about using a wine barrel for your living space whether outdoors or indoors. 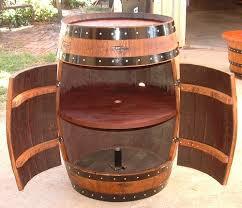 A wine barrel is a challenge in itself, provoking creativity and different ways of recycling wood and metal. The result is a versatile spectrum of decorative items such as chairs, tables, pet beds, planters, wine holders, wall art, and many other suitable items for your indoor and outdoor decorations.